We have been paying attention to this series for some time. The series involves following the lives of fringe and washed up urban musical artists. The show is a complete ignorant display of ghetto-ism but that is not what this article is about. 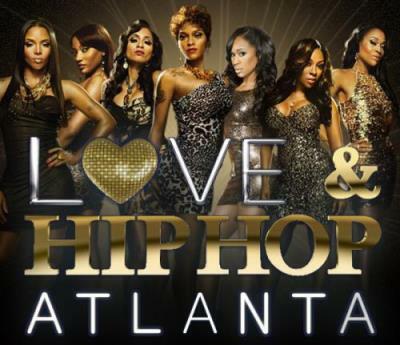 In EVERY episode of Love and Hip Hop Atlanta there is blatant Illuminati symbolism. On a TV program everything you see is INTENTIONAL. There are makeup and wardrobe artists and all the dialog is scripted by writers. So when you see the actors wearing Illuminati clothing it is the production not the actors that wish to convey those images to the viewer. On season 3 episode 9, rapper and cast member Kalenna was filmed in the studio recording a song called Illuminati of all things. In the song they brag about the riches Illuminati affiliation brings and also clearly states who they work for: "Got them three 6's like the Devil"
The goal here is to impression the viewer, to desensitize and then indoctrinate the viewer to the Illuminati / Luciferian agenda and it's working.